This fair and comprehensive look at life in ancient China will prove to be an invaluable classroom aid. 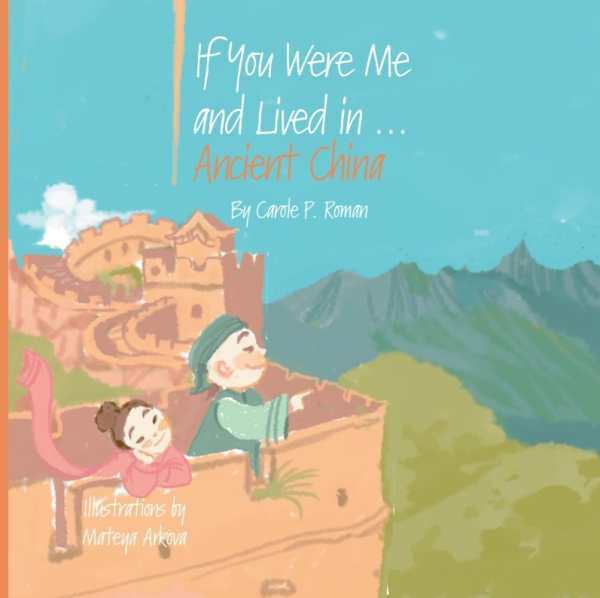 Carole P. Roman’s If You Were Me and Lived In … Ancient China offers a compact and comprehensive look at life during the Han dynasty era. There are some issues with consistency and tone. The beginning of the book says, for example, that you “might have lived in the capital city Chang’an,” but later, the narrative takes on a more definitive tone, with declarations like “Your father was a doctor” and “Your home was rather large.” Still, Roman succeeds in the difficult task of interweaving historical information, like the origins of silk and paper or the Chinese Lantern Festival, with the day-to-day experiences of those things. The book also includes a brief, illustrated guide to major figures of the time and a thorough glossary with pronunciation guide. The images alternate with text on every two-page spread, which helps to keep the sometimes dense text from feeling overwhelming, as does the decision to utilize blank space in the book’s design, rather than filling every page to capacity. Arkova’s illustrations favor pastel colors and rough, fuzzy edges, which results in pictures that are unique enough to be interesting but still clear enough to aid the storytelling. If You Were Me and Lived In … Ancient China is a natural fit for classrooms and school libraries and an excellent read for anyone curious about life during one of the world’s most celebrated eras of civilization.